We are thrilled to announce that we will be opening a new centre in Fulham this January 2018! To celebrate we will be holding an evening of FREE TRIAL LESSONS for the opening night on: Tuesday 9th January. ENQUIRE NOW TO PRE BOOK A FREE TRIAL FOR THE OPENING EVENING ON: TUESDAY 9TH JANUARY! 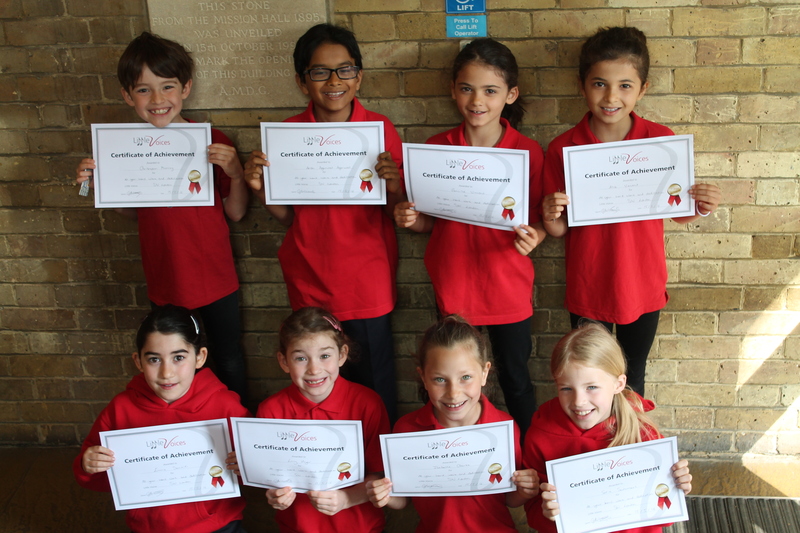 Little Voices South West London performing arts school has helped students in Fulham to achieve outstanding results in this year’s London Academy of Music and Dramatic Art (LAMDA) examinations. 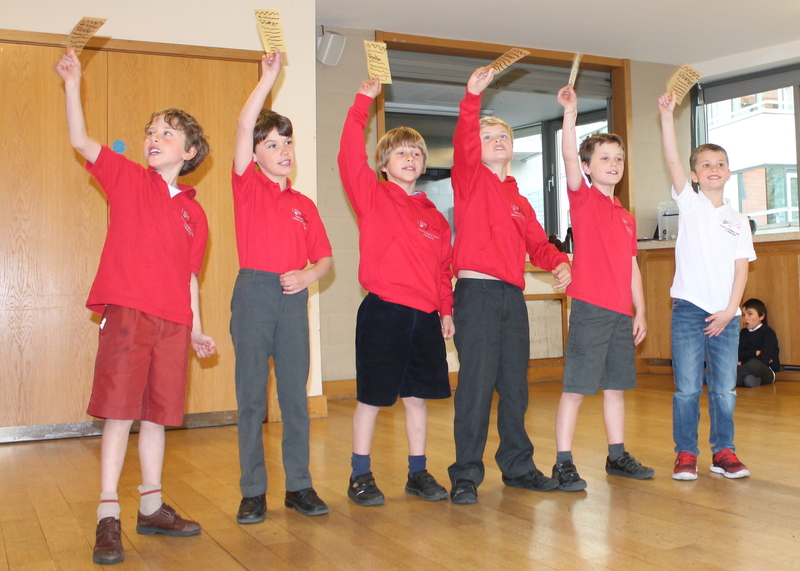 In May, 150 Little Voices children took exams in grades 1- 8 with over 99% achieving a distinctions and merits, and yet again, Little Voices has maintained its outstanding 100% pass record. The students ranged from aged 4 to 18 years old. Principal, Ashlea commented: “We are thrilled that our students’ talents have been recognised through these amazing results and are so proud of all of them. It is always rewarding to be part of an organisation that helps students to achieve their ambitions,” she said. LAMDA examinations are prestigious awards, from which students can gain UCAS points to help with their university applications. As part of the exams, students must perform their poems, scenes and straight acting pieces for the examiner with confidence. One child; Max Moorehouse aged 11 years took a grade 3 solo acting exam and achieved exceptional marks with a very high distinction. Little Voices have four centres across south west London, running for the past three years during which time Principal Ashlea Pearson and her team of tutors have trained 200 students in drama and singing, helping them to achieve a consistent 3 years of impressive LAMDA results. For more information about Little Voices in Fulham, please contact Ashlea on phone: 07823384992 or Email: SWL@littlevoices.org.uk. First of all I just would like to share that I have been meaning to send you this email for a long time now and have not found the right opportunity as it’s ‘not an average email’, I cannot leave it any longer hence my reason for sending this now ahead of me joining Ramareo in Putney for his Wednesday evening session today. Ashlea, words cannot aptly express the joy, pride and amazing thanks I have for your work with Ramareo since he has joined Little Voices. You all have as much belief and care for him as I do as his parent and it truly shows- he has thrived since being with you and him achieving his first ever distinction in an external examination aged 12 is testament to that. It’s awesome!!! Ramareo truly is a talented child and has shown this in many ways in his short 12 years. He has travelled and lived in numerous countries due to my work in international education management and he has taken the best from every environment he has been to school in various countries within the Middle East, Europe and North America during his primary years. He has thrived both academically in every school and has always showed natural talent and promise in creative expression and verbal arts and public speaking…so much so that a teacher he had from Canada urged me to never let him lose it lol! I have had to work this year in south East Asia and so took the decision for him to go to boarding school hoping it would allow him to develop more than just academic strengths but had hope it would foster strengths in community and creativity..this did not work out for him because being blunt, he missed his life with me and the school did not want to recognise his abilities and achievements- they too teach a form of LAMDA and did not engage with him the way Little Voices did. Anyway I am digressing…. The producers of the new ITV UK’s reality TV show ‘The Voice Kids’ visited children at local performing arts school, Little Voices. The Principal, Ashlea Pearson, was approached by the research team from the TV show in May. The researchers had heard of their outstanding reputation for providing expert training for talented boys and girls aged 6 – 13 years in singing. The pupils had the opportunity to meet the producers and perform individually for them. The auditions took place at the Little Voices centre last Thursday. Over 20 pupils took part in the evening, performing two ‘a capella’ songs and chatting openly with the producers about themselves and their experiences. Max Moorehouse, aged 11 years, a regular to the West End having starred in “The Railway Children’, auditioned and performed ‘Close every door’ from Joseph and the Amazing Technicolor Dream Coat and ‘Photograph’ by award winning English songwriter Ed Sheeran. Others pupils and song choices included; Arabella Coco Scanlon aged 11 years who performed ‘Memory’ From Cats the musical, Alexander Nuria aged 11 years who performed his rendition of ‘Break Free’ by Arianna Grande, Neva Jansen aged 7 years performed ‘Bohemian Rhapsody’ by Queen and Olivia Newby aged 10 years performed her tear dropping rendition of ‘When we were young’ by Adele. Pupils also talked to the producers about their passions outside of performing arts including fundraising and campaigning against animal rights. It was clear that there is talent in Wandsworth and that the next generation are going to be impressively involved with making a big difference with their music and ambitions as they grow up. The confidence of these young people shone so brightly and is something that Little Voices Principal, Ashlea, is passionate to nurture in young people. The Voice Kids is due to launch in 2017 on ITV following the success of the British adult version, The Voice UK which included winners Kevin Simm and Stevie McCrorie. The open audition applications are open until the 2 September 2016, presenters and coaches are due to be announced soon for the new junior version. Little Voices were celebrating this opportunity on Social Media this weekend. The Little Voices team, parents and pupils are eagerly awaiting to hear about the next stage of auditions. 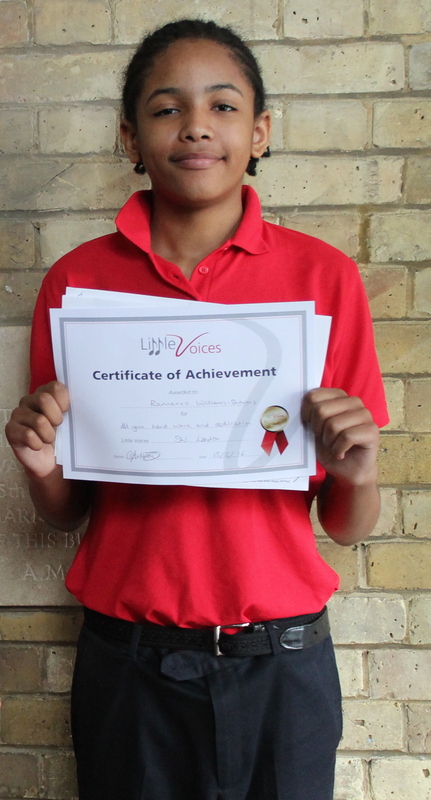 Here at Little Voices South West London we have helped students in Putney, Richmond, Earlsfield and Fulham to achieve outstanding results in over several year’s of their London Academy of Music and Dramatic Art (LAMDA) examinations. For the second time this year, 160 Little Voices children are taking exams in grades 1- 8, the students range from aged 4 to 18 years old. Little Voices already hold an outstanding result reputation with over 99% achieving a distinctions and merits, maintaining an outstanding 100% pass record. And yet again pupils, parents and our team at Little Voices South West London are hoping for another set of outstanding results. Principal, Ashlea commented: “We are thrilled that our students’ talents have been recognised through these amazing exams and results so far, we are so proud of how hard every child has worked for the last several weeks. Some pupils who have been with us since launching 7 years ago and have worked their way up the grades are now taking part in significantly higher graded and more challenging exams. We cannot wait to hear the results!” she said. LAMDA examinations are prestigious awards, from which students can gain UCAS points to help with their university applications. As part of the exams, students must perform their poems, musical theatre piece’s and solo/duologue acting pieces for the examiner with confidence. One child, who recently starred in the west end and has been with Little Voices since 4 years old; Max Moorehouse aged 11 years, will be taking a high grade 4 solo acting exam to add to his already amazing array of exam results, achieving ‘Distinctions’ each time. Little Voices Fulham Pupils’ Performance Extravaganza! 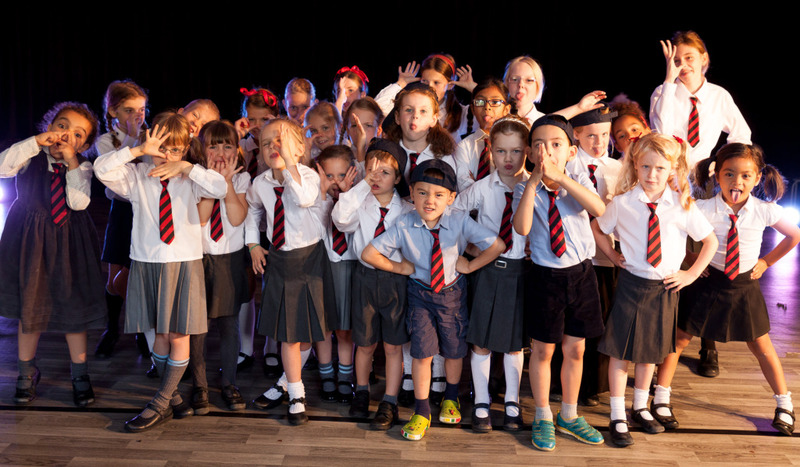 Our pupils at Little Voices Fulham have worked so hard since the start of the Autumn term towards a mind blowing performance which they have just recently showcased to parents, friends and family. Not only did every child have lines to learn, songs, scripts, choreography and cues to follow but they also attended every weekly lesson with absolute professional and pure dedication to make sure their performance was a one to remember. We are SO proud of each and every child that took part, here are some videos taken from what was an amazing two evenings! Why winning the award is so good? I’m not sure if you have heard but we have recently found out that Little Voices won a national award. We were nominated and got to the finals because of what our parents felt about us! That is so thrilling and sincerely heart-warming so thank you for your continuous support. The awarding body is a company who have a vision and core values in alignment with Little Voices. The after school activities industry is unregulated. Most parents do not realise this and they are bombarded on almost a weekly if not daily basis for their children’s time to attend activities and their own hard earned money without often knowing that the foundations of an after school activity provider are solid and more importantly safe. Often the fundamental steps of checking out is this company who they say they are and do they have the relevant qualifications, safety precautions and insurance in place are missed until it is too late. When was the last time, you, as a parent asked if the football coach had everything in place that they needed to or indeed if you asked if they were who they said they were? 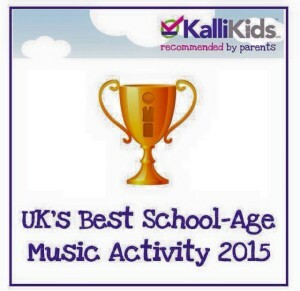 We have not only won an award that represents truly how our parents, nationally feel about Little Voices, but we have won an award category organised by a company, Kallikids, that want to ensure that after school activities are safe and accredited. We have huge mountains to climb to be a household name on the tip of every parent’s tongue but this award takes us significantly closer to that goal. Little Voices is not just about drama and singing but of course we pride ourselves on our lessons of distinction but it is also about life skills and supplementing the education of our nation’s children. Creating a first impression, speaking with clarity in a job interview, handling nerves and being really confident presenting a project are all key life skills and they form part of our framework of lessons of distinction. There are lots of organisations out there that can teach your child to sing, dance and act but we would argue only Little Voices that can complement and enhance their educational journey. Collectively as an organisation Little Voices is very passionate about the education of children. We are driven to ensure that every child nationally has an opportunity to excel, build their confidence, self-esteem and nurture their talent. The art of presentation skills, eye contact, posture, teamwork, respect, preparation to name but a few. I have a huge job to do to assist in the delivery of education through Little Voices but I will do it – we will do it! 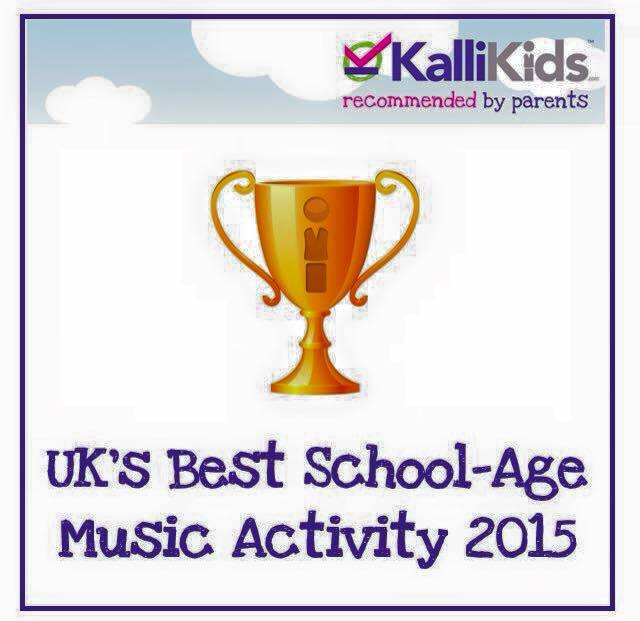 The award has been given by Kallikids who are striving to get the after school activities sector regulated. As I’m sure you would agree it is so important that parents know who they are sending their children to – that they are who they say they are. As I’m sure you can tell we are all on cloud 9 about this still! Thank you for all of your continuous support. Does Your Child Love To Act ? 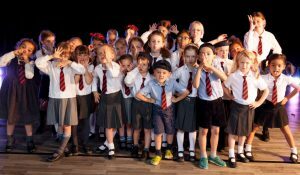 Little Voices Fulham provides fun and inspiring drama lessons for all children aged 4 – 13 years of age, giving your child specific individual tuition within small groups. Our highly qualified tutors are extremely passionate and are determined to work to your child’s individual needs and ability. Our unique lessons build children’s confidence whilst working specifically towards performances and highly respected and accredited Acting and Musical Theatre examinations through ‘The London Academy of Music and Dramatic Arts’. These lessons are for 4-7 year olds with a maximum of 13 pupils, working towards accredited LAMDA introductory Examinations and mini performances. Performing Arts training is delivered in fun and inspiring lessons to build children’s confidence, communication and social skills from a very early age. These lessons are for 8 – 13 year olds with a maximum of 15 pupils, organised by age, ability and friendships. Working on scenes of Musical Theatre for LAMDA Examinations from shows such as Matilda, Shrek and Hairspray. As well as working towards termly showcases a chance for pupils to share what they have learnt with parents, friends and family.